What a beautiful late November day we had for Heather and Scott’s engagement session at the historic Roswell Mill! It was so wonderful to be able to photograph this fantastic couple while they were in town over the Thanksgiving holiday. 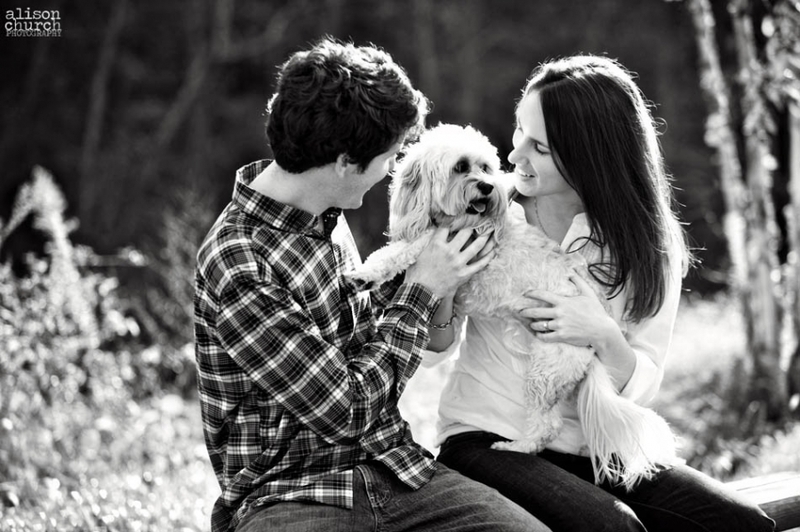 Not only were they a blast to photograph, but I love when couples bring along a little something special to their engagement session–and this of course would be their dog Chewy! Though they live in Texas now, they will be celebrating what I know will be a gorgeous wedding this June at The Georgian Club!